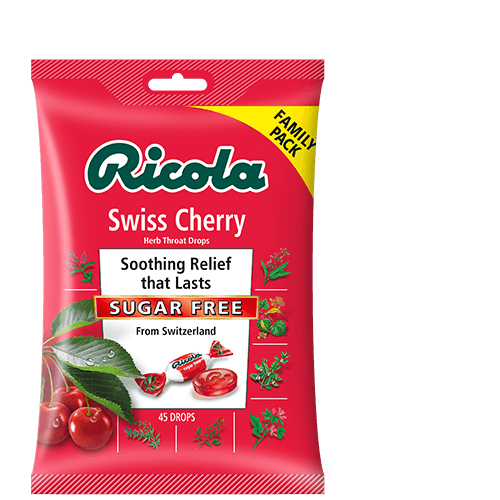 Natural cherry flavor gets together with Ricola’s Swiss mountain herbs, while adding menthol sourced from real Peppermint leaves. Giving your sore throat a refreshing fruity way to get the soothing relief it needs. And for an added plus, Ricola Swiss Cherry is sugar free!